Replacing your wallet with a Fitbit is no longer the daunting experience it once was, with the company's Fitbit Pay service helping to normalize the shift to contactless payments. 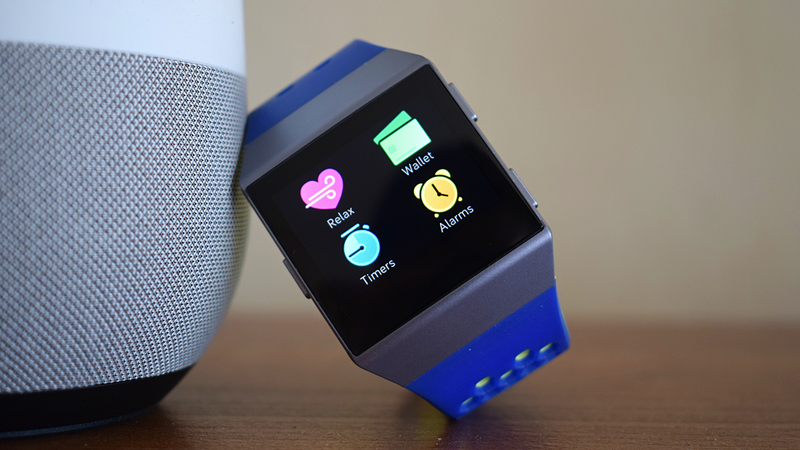 Now available through the Fitbit Ionic and Fitbit Versa smartwatches, as well as the Charge 3 fitness tracker, Fitbit Pay rivals the platforms provided by Apple, Google, Samsung and Garmin, letting you tap to pay and avoid fumbling around for your physical card. Read next: Which Fitbit tracker is best? But that's just the basics, and there's plenty to understand about Fitbit Pay if you're going to be able to use it. Below, we'll go through how it works, which banks support it and how to set it up. Fitbit Pay: What is it? Fitbit Pay is essentially the company's equivalent to the likes of Apple Pay and Google Pay, harnessing the wearable's built-in NFC chip to let the user make payments by just tapping the wrist on a contactless payment terminal. You don't need to be connected to your phone, and you can use it anywhere where you would usually be able to pay with a contactless card, meaning you can realistically leave both phone and wallet behind. And if you're worried about security, Fitbit indicates that purchases through Pay are covered by your bank's usual fraud protection, and the service uses industry-standard tokenization to keep every transaction private. Fitbit Pay and banks: Who supports it? Since its introduction in 2017, Fitbit has grown significantly in the US, Europe and beyond, with American Express, Mastercard and Visa all compatible across a range of banks signed up to the service. We won't repeat the entire list here, since Fitbit Pay is supported in 27 countries, but it's important to know that there are a few major banks on board with the service - as well as plenty of omissions, too. For example, in the US, Bank of America and Wells Fargo customers can use Fitbit Pay, though the likes of JPMorgan, Goldman Sachs and Citigroup users are all left in the dark. That's a bit better than the service's coverage in the UK, mind, with Santander still the only major bank currently aligned with Fitbit Pay. And for those of you in Australia - ANZ, National Australia Bank and Commonwealth Bank are all signed up. Check out the full list of banks supporting Fitbit Pay. You can assign six cards to Fitbit Pay, but you can only have one on your Fitbit device at any one time. And to start things off, you're going to need to make sure your Fitbit is paired to a smartphone. You'll also need to make sure you have the Wallet app installed - to do so, go into Apps > Wallet and then install it. From there, go to the Fitbit dashboard, tap the device icon in the top left and you should then see a Wallet tile among the options - press it. You'll need to add the card through the smartphone app, which, depending on your bank, may require you to verify it with your bank. It may verify instantly, or your bank might ask for further details. It's at this point you'll be prompted to set up a pin number, if you don't already have one. This is a four-digit code you'll need to enter to use Fitbit Pay; once entered, you shouldn't need to type it in again until you take the device off your wrist. Fitbit Pay works with any contactless payment terminal, as we've mentioned. When the time comes to pay, you need to press and hold the left button for two seconds. If you haven't done so since putting on your Fitbit, you may be asked to enter your four-digit pin, otherwise you'll see your bank card on the display, which is a cue to hold your wrist near the payment terminal. You'll get a small vibration and a message telling you the transaction has been successful. Simple.